The Savannah Tribune and community mourns the loss of yet another leading phenomenon. 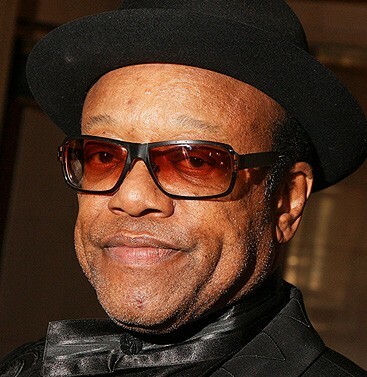 Bobby Womack, the legendary soul singer whose career spanned seven decades, died Friday June 27th at age 70. Womack passed in his sleep, the cause of death unknown. Born in Cleveland, in 1944, the third of five sons, Womack and his siblings formed the Womack Brothers – later renamed the Valentinos – a gospel-singing kiddie crew, in the ’50s. They found a mentor and champion in Sam Cooke, who inspired them to branch out into secular music. However, with record deals and solo chart success eluding him, Womack relocated to Memphis and backed up Aretha Franklin, Ray Charles, Dusty Springfield and Pickett before heading West to indulge in the excess of the budding Laurel Canyon music scene. Womack’s career spanned more than 50 years and spanned a repertoire in the styles of R&B, soul, rock and roll, doo-wop, gospel, and country. As a singer he is most notable for the hits “Lookin’ For a Love”, “That’s The Way I Feel About Cha”, “Woman’s Gotta Have It”, “Harry Hippie”, “Across 110th Street” and his 1980s hit “If You Think You’re Lonely Now”. Womack is survived by Regina Banks and four children: Gina, Bobby Truth, Cory and Jordan.